Your Residential Status It’s not that you just visit a foreign land and return an NRI. There are laws which determine your classification as NRI or regular citizens. 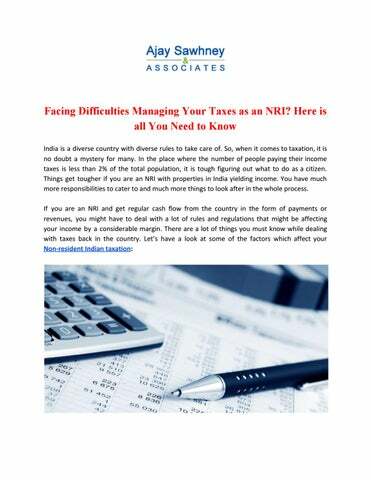 The authorities examine your NRI status every financial year. Thus, in a financial year, if you stay in India for less than 6 months (182 days to be precise), you are considered as an NRI. 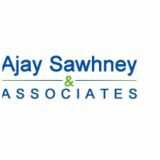 Moreover, if you are here for 2 months but your overall stay in the last 4 years in the country sums up to more than a year, you are an Indian resident as per law. Taxation on Income Abroad A lot of people confuse themselves about their income abroad. The Indian government doesn't charge you on your income abroad if you are an NRI. However, if you are an Indian citizen who is getting their income through foreign sources, you would obviously have to pay your taxes on time as per your income. Similarly, for people living as an NRI having income sources in India is liable to pay taxes as per the laws to the government. The tax applies to their NRO/NRE accounts in the Indian banks. These accounts have different laws on repatriation as well. The amount of tax you need to pay would be as per the tax slabs of the country's economic laws. Filing an Income Tax Return Whether or not you are an NRI having an account with a source of income in India, it is compulsory for you to file Income Tax Returns as per your income and tax slabs. The last date of filing the return is July 31st in the financial year. Having a proper idea about Non-resident Indian taxation is a must if you are living outside India. It helps you worry less and stay calm with your own business abroad. If you still want some assistance in filing your taxes, then you can choose to consult a professional in this regard. This would definitely help you save a lot of time and hassle of doing everything on your own.